Aluminum Walk Ramps – Apron Style | Dock Door Systems Inc. 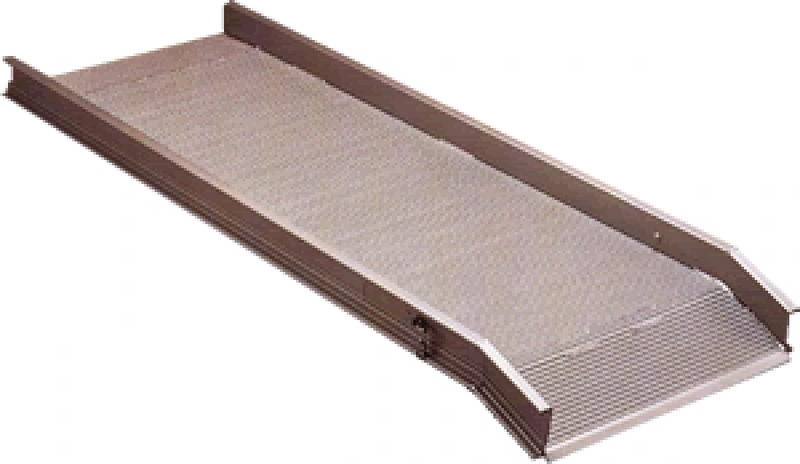 Walk Ramps come in your choice of 29" or 39" widths with capacities up to 3,000 lbs. Bluff Walk Ramps feature Twin-tooth deck for better traction when traveling in either direction. The strong, lightweight aluminum construction makes these walk ramps, easily portable, and convenient. All apron models complete with 8" apron; 3 1/4" position stop; safety chains. Actual Length: 36" - 189"
Height Range: 9" - 61"
Capacity Range: 500 - 3,000 lbs. 2900 Series Weight Range: 36 - 147 lbs. 3900 Series Weight Range: 43 - 176 lbs.